Differential susceptibility theory posits that neurobiological reactivity (e.g., cortisol levels) should be considered as an individual index of susceptibility to both positive and negative environments. The current investigation separately examines cortisol reactivity and total concentration in toddlerhood as moderators of the longitudinal relation between maternal protection and encouragement of independence and increases or decreases in observed anxious behaviors, respectively. A total of 119 mother-toddler dyads participated in a laboratory visit when toddlers were 12- to 18-months-old. Mothers reported on their parenting behaviors and toddlers participated in a novelty episode from which their anxious behaviors were coded. Toddlers provided three saliva samples, yielding measures of cortisol reactivity and total cortisol concentration. One year later, dyads returned to the laboratory where toddlers participated in another novelty episode to observationally assess anxious behaviors. Results revealed that maternal protection tended to relate to greater increases in anxious behaviors one year later only for toddlers who displayed high cortisol reactivity. Cortisol reactivity also moderated the relation between maternal encouragement of independence and change in toddler anxious behaviors, with this parenting behavior relating to greater decreases in anxious behaviors only for toddlers with high cortisol reactivity. Results examining total cortisol concentration as a moderator were not significant. 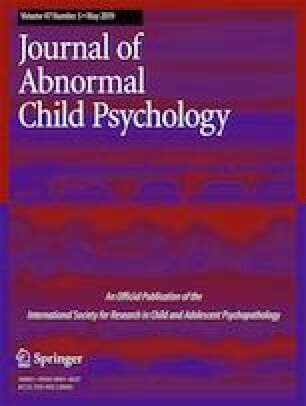 Results suggest the importance of considering toddler cortisol reactivity a context of susceptibility when examining the longitudinal relation between parenting behaviors and the development of anxious behaviors in toddlerhood. We express our appreciation to the staff of the Behavior, Emotions, and Relationship laboratory that assisted with data collection and coding, and the families and toddlers who participated in this project. The project from which these data were derived was supported by a grant from the National Institute for Child Health and Human Development (R15 HD076158).